Wonderfully soft and super light lash extensions. Ideal for adding a touch of colour and creating super fluffy Russian Volume 2D-6D sets! Go as subtle or as bold as you like with these mermaid inspired lashes! Available in C/CC curls to suit a range of clients! 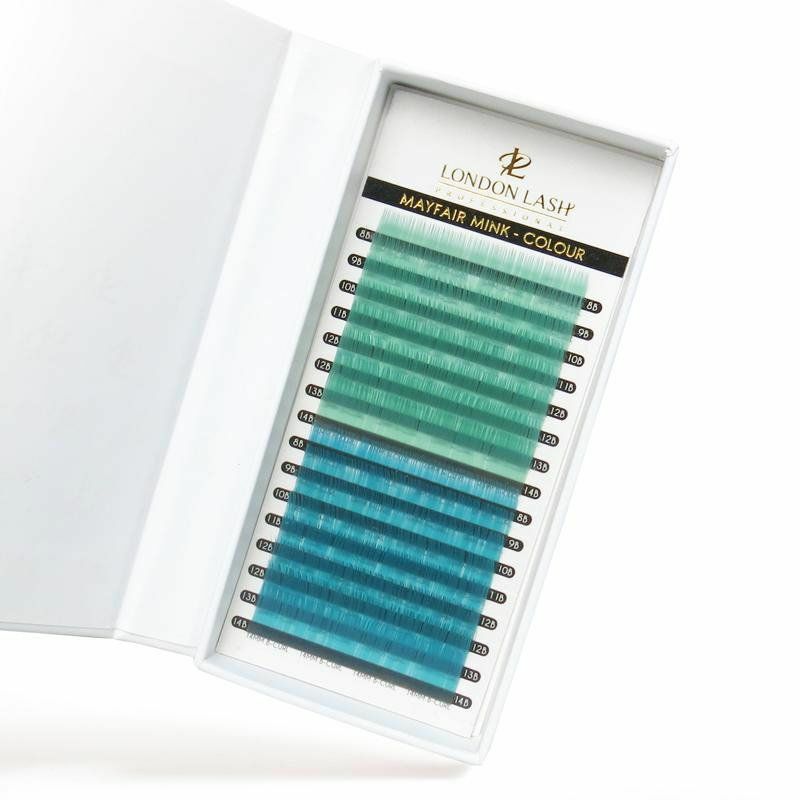 London Lash products are available wholesale to lash technicians and beauty professionals. 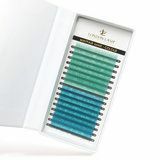 Need advice about 0,07 Mixed Size Mint Green/Ocean Blue lashes Mayfair Mink B/C/CC/D?